The Global Alliance for Genomics and Health (GA4GH) is a policy-framing and technical standards-setting organization, seeking to enable responsible genomic data sharing within a human rights framework. The GA4GH Security Technology Infrastructure V3.0 is now open for public comment. Please submit comments via GitHub or to melissa.konopko@ga4gh.org. 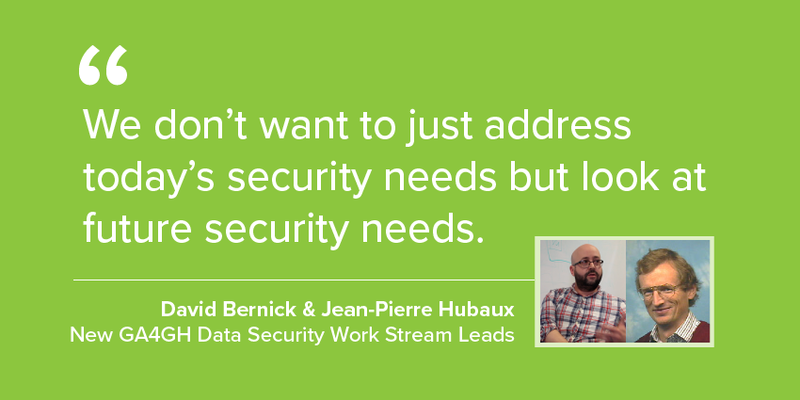 New GA4GH Data Security Work Stream Leads David Bernick and Jean-Pierre Hubaux aim to build on the progress that the work stream has done and tackle new challenges in genomic data privacy and security. 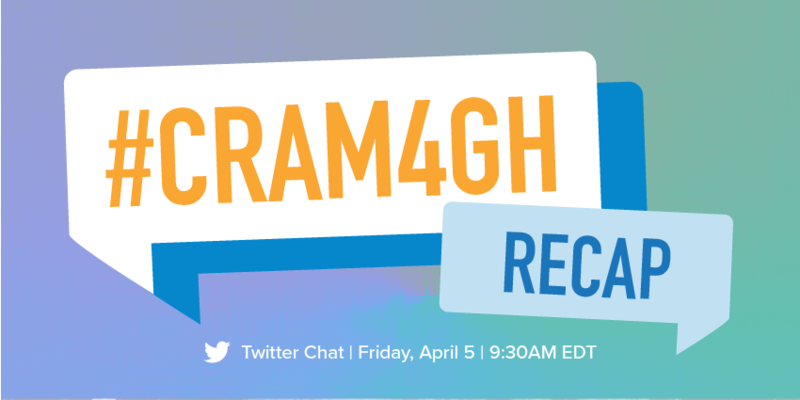 On Friday April 5, GA4GH held the #CRAM4GH Twitter chat. Guest “panelists” and experts James Bonfield, Thomas Keane, and Ewan Birney helped answer questions on the CRAM file format for genomic data compression. GA4GH Work Streams develop standards and tools that are founded on the for Responsible Sharing of Genomic and Health-Related Data. 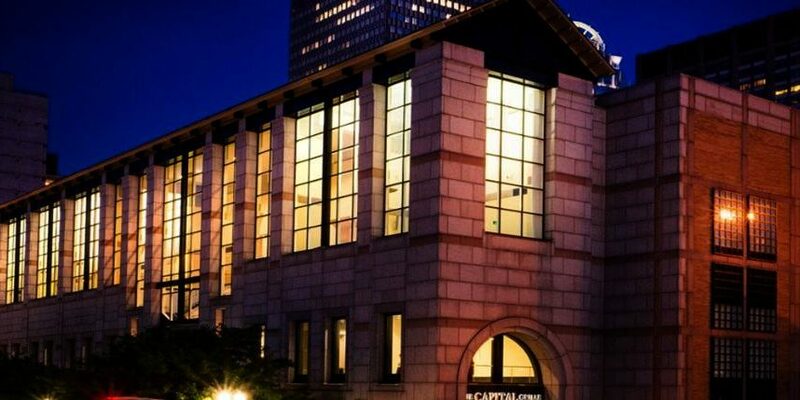 Their work is designed to enable international genomic data sharing based on the specific needs of clinical and research Driver Projects — real-world genomic data initiatives sourced from around the globe.